The Volusia Flagler Chapter of the Florida Public Relations Association will host internationally-known author and speaker Scott Weiss to the community on Wednesday, May 23, 2018, for the organization’s monthly luncheon at LPGA Clubhouse. RSVP today to reserve a spot for this unique speaking engagement. Several attendees will receive free copies of Weiss’ groundbreaking book, “Dare! Accepting the Challenge of Trusting Leadership.” “Dare!” is a challenge to leaders everywhere to be authentic and transparent. The book has been cited by Forbes, Fortune, and Inc. magazines, Business News Daily, CNNMoney, and Investor’s Business Daily. Weiss is President and CEO of Speakeasy, a global communication consulting firm with offices in Atlanta, San Francisco, New York, Amsterdam, Mumbai, Chicago, Boston, Honk Kong, and Dubai. The company works with executives and teams in developing the impact and effectiveness of their communication. Last year the company worked with some 3500 executives in 10 countries. While he first came to Speakeasy as a client, Weiss bought the business in 2003. Originally from Detroit, and he and his is family have been in Atlanta for 31 years. 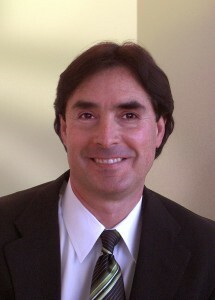 Weiss has been leading Speakeasy’s management efforts as a visionary and driver of both growth and quality. Check-in and networking begins at 11:30 a.m. and the program starts at noon. There will be time allotted for a book signing following the luncheon. Guests and members must RSVP by May 21. The cost, which includes lunch, is $20 for FPRA members, $25 for non-members and $18 for college students. Payment should be made online in advance. Payment at the door is an additional $5.